So do you need good credit to get a personal loan? No, in fact – and what a relief that is! Although you may need to shop around a bit to find a lender that doesn’t run credit checks on applicants, it shouldn’t be too tricky to find your ideal lender. For example, at Advance Paycheck Online, we only ask for proof of a steady income and a bank account. 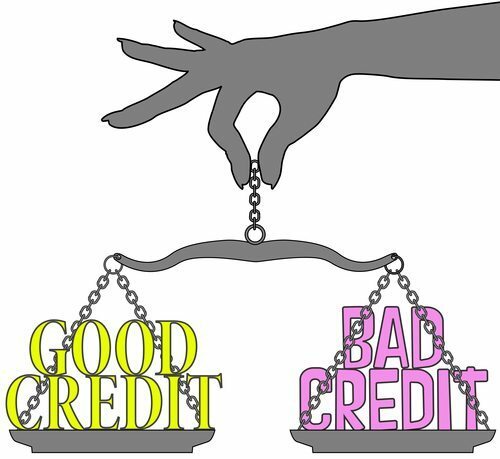 No credit score needed! Direct Lending. A direct lender, as opposed to an affiliate, will work directly with you. They will personally consider your application, their rates and fees will likely be lower, and they won’t farm your application out to hundreds of lenders vying for your business. Low Fees and Rates. This might be obvious, but it’s worth mentioning nonetheless. Be sure to read the fine print and conditions before you apply for a loan, and contact the lender if you have any questions. If you know exactly how much your loan will cost, you can form an effective repayment plan ahead of time. Instant Funding. Unless you have time to waste, be sure your lender provides instant funding. This speedy service will ensure that you receive a reply within 24 hours, and if you are approved, the funds will be sent to your account immediately. Flexible Repayment. Some borrowers don’t mind rigid payment deadlines, but most prefer flexible payment schedules, which allow the borrower to make bi-weekly payments or pay off the loan all at once. This flexibility will allow you to adjust the schedule to your personal financial situation. Exceptional Service. If something goes wrong or you’re confused about a feature of your loan, you will be very glad that your lender offers excellent customer service. The company should be easy to contact, friendly, and accommodating. SELECTED FOR YOU: What Is the Purpose of the CFSA? Despite the leniency of many lenders, it is still important that you know what your credit score is and you’re working to improve it. There are many free ways to learn your credit score, and the knowledge will help you prepare for your financial future. If you would like to apply for a personal loan, check out Advance Paycheck Online whether you have good or bad credit. We are direct lenders offering short-term advances and online installment loans to the residents of three states: Illinois, Utah and Wisconsin. Our flexible payment schedules will help you pay off your loan as soon as possible, and we prorate the fees involved so that if you pay off the loan early, you will have very few fees to pay. To get started, please contact us online or give us a call at 1-815-436-4242. We would be happy to help!